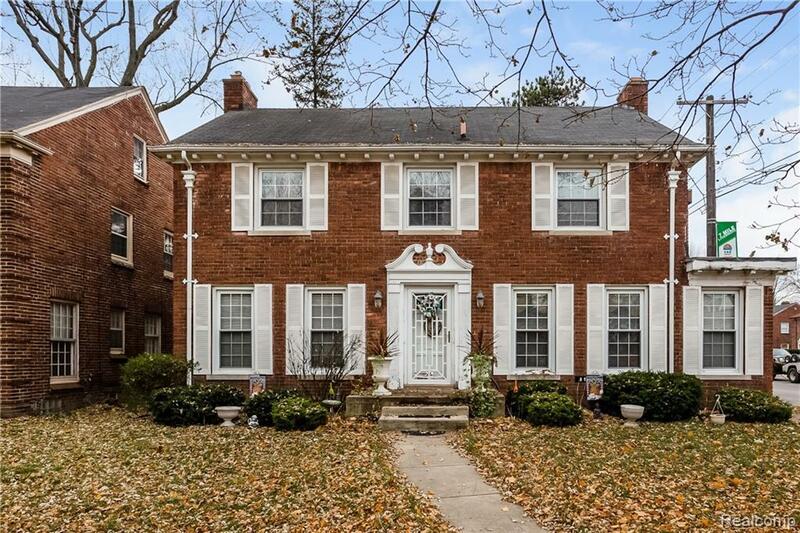 Beautiful Colonial brick home in the highly sought after University District Neighborhood. Original Hardwood floors throughout the house. The fireplace in the living room is surrounded by the original Marble. Screened in Sun-room off the back of the house, to enjoy a beautiful morning cup of coffee. The Kitchen and the breakfast nook are been updated from the original long ago, you may want to add some finishing touches to make grand. Basement also have additional living space with a wood burning fireplace that would be awesome for a family room. Original Pewabic tile in the entryway. This house has many beautiful features that you would fall in love with. There are a few issues that need to be resolved, this house is sold as is. The house is perfect for the buyer that understands the value of the a home in a historic neighborhood with decades of history.